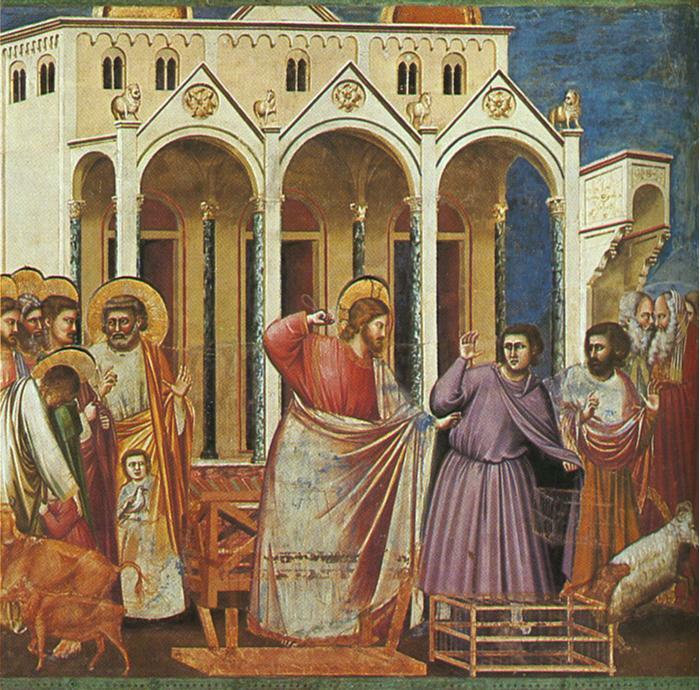 You are probably familiar with the story in the New Testament of how Jesus, at his final Passover and on at least one other occasion, cast moneychangers from the temple in Jerusalem (see Matthew 21:12–16; Mark 11:15–19; Luke 19:45–48; see also John 2:13–17). What were they doing there in the first place? They were profiting from (1) the exchange of currency with perhaps hundreds of thousands of pilgrims, (2) selling animals for sacrifice under the Mosaic law, probably for a good profit, and (3) they represented the interests of the priestly class who despised Jesus’ upstart influence. It is obvious to us, from the distance of a few millennia, that these profiteers were in the wrong place at the wrong time, “for do ye suppose that ye can get rid of the justice of an offended God . . . ?” (3 Nephi 28:35). Yesterday, while I was saying my prayers in the morning, I had an insight about this story. It is actually more of an application of the story to my own life. You have moneychangers in your own temple. This is what, in essence, came to me: Your body is a temple of God, a temple of the Holy Spirit, but you’ve let in some “moneychangers.” And they’re open for business. Then I asked myself: Who are these moneychangers? Your beliefs, your habits, and your attitudes from which the adversary and his ilk profit handsomely. Your cherished deceptions. Your lazy opinions—the ones you do not dare challenge. Your thoughts, words, and actions that serve impulse over faith. Those sneaky little cheaters that keep your heart troubled and your anxiety levels up. Your defensiveness, your self-exonerating pride, your hiding in the garden in the cool of the day (see Genesis 3:8-10). I was enlightened. I have work to do. Today I am treading the courts of my mind with a cat of nine tails, casting out some quivering beliefs that have just been seen for who they really are.